Petroliam Nasional Berhad, the national oil company of Malaysia and Saudi Arabian Oil Company, Saudi Aramco launches the corporate identity for their joint ventures in the Pengerang Integrated Complex (PIC) located in Pengerang, Johor, Malaysia, namely Pengerang Refining Company Sdn Bhd, PRefChem Refining and Pengerang Petrochemical Company Sdn Bhd, PRefChem Petrochemical, collectively known as PRefChem. PETRONAS and Saudi Aramco had earlier in March 2018 concluded the Share Purchase Agreement for equal ownership and participation in the operations of the refinery, cracker and selected petrochemical facilities in the PIC. 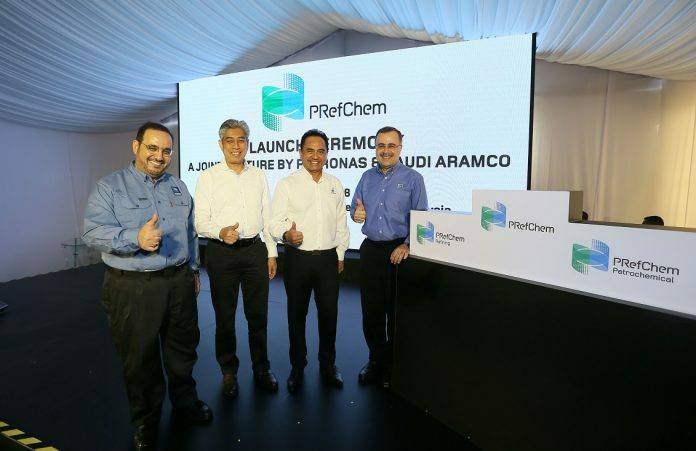 Tan Sri Wan Zulkiflee Wan Ariffin, President & Group Chief Executive Officer of PETRONAS, Amin H Nasser, President & Chief Executive Officer of Saudi Aramco, Datuk Md Arif Mahmood as well as Dr Colin Wong Hee Huing, who are respectively the Chairman and Chief Executive Officer of the two companies unveiled the logo for PRefChem. 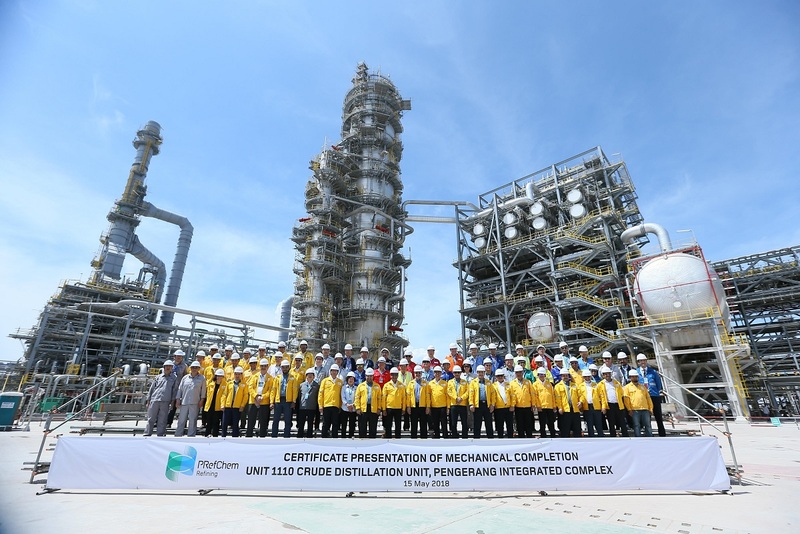 At the event, PRefChem also celebrated a major milestone with the mechanical completion of Package 2 comprising the Crude Distillation Unit (CDU). The mechanical completion certificate was presented to Sun Lili, President of Sinopec Engineering, by PETRONAS Executive Vice President of Downstream, Datuk Arif Mahmood, witnessed by Tan Sri Wan Zulkiflee and Nasser. Commenting on the company’s visual identity, Dr Colin Wong says that the circular movement of the logo represents collaboration, precision and bonding between PETRONAS and Saudi Aramco, while the blue and green colours portray PRefChem as a vibrant, dynamic and environmentally friendly company. The refinery complex and cracker is now 96.54 per cent complete while the petrochemical facilities has achieved 84.8 per cent completion. Apart from the refinery, cracker and the petrochemical facilities, PIC also includes the development of associated facilities, namely a co-generation plant, an LNG re-gasification terminal, a raw water supply plant, a deep water terminal, and air separation unit, as well as centralised and shared utility facilities.